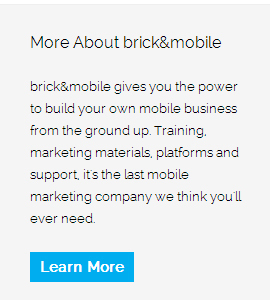 Thousands of entrepreneurs signed up with brick&mobile to launch their businesses. Today it’s your turn. Create premium mobile websites with no coding required. 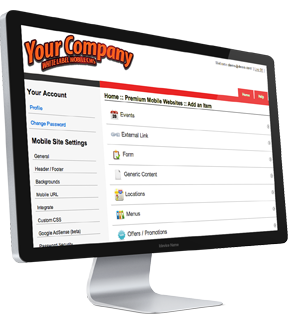 Our advanced mobile website builder is rated the easiest to use by resellers worldwide. Just getting started with mobile? Our extensive library of video training covers everything from the basics of mobile to the secrets of selling. We’ve done the work for you. Use our proven mobile marketing materials including business cards, brochures, proposals, email templates, social graphics and more to look professional – overnight. Have a question? Our mobile marketing experts are available 24/7 with best-in-class customer support to help you succeed. We’re with you every step of the way. This platform is great. Before I found brick&mobile, I had avoided discussing mobile sites with my clients because I lacked the coding knowledge to make them work correctly on different devices. Now I can build mobile sites so fast, I actually like to lead with that discussion. I have created my mobile website myself and have attached the code to my web site. It works great and I was surprised at how easy it was to put together as well as update. After about 14 months of search I finally found the company that is right for me.